The saintly American priest Father Solanus Casey, who during his life was a humble friar, will soon be beatified, the final step before canonization. The joyful ceremony will take place Nov. 18 at Detroit’s Ford Stadium before a capacity gathering expected to exceed 70,000. This is an extraordinary honor for a man who in life never aspired to great deeds but was content to fulfill the humblest tasks assigned to him. The Capuchin Franciscans are an order that can count more than 150 saints and blesseds along with distinguished prelates including Philadelphia’s Archbishop Charles Chaput and Boston’s Cardinal Sean O’Malley. Now unassuming Solanus Casey takes his place among the Capuchin heroes. Other ceremonies will be held throughout the world wherever Capuchins are missioned. 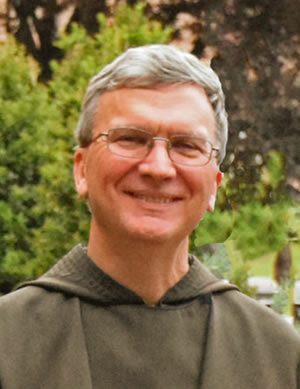 Father Thomas Betz, O.F.M. Cap. Here in Philadelphia Father Thomas Betz, the provincial minister of the Capuchins’ Pittsburgh-based St. Augustine Province, will celebrate a Mass of Thanksgiving for the beatification of Father Solanus on Friday, Dec. 1 at 5:15 p.m. at St. John the Evangelist Church, 21 South 13th Street in center city. Born Francis Casey in 1870 in Oak Grove, Wisconsin to a large Irish immigrant family, Father Solanus had little formal schooling. As a teen and young adult he worked various jobs including as a prison guard. But feeling a call to the priesthood, he eventually entered a minor seminary in Milwaukee. Possibly because of his earlier lack of education and in a seminary where classes were taught in Latin or German, neither of which he understood well, he did poorly in his studies especially in theology. Because of this the seminary officials felt he could not perform the duties of a parish priest and recommended he try a religious order instead. 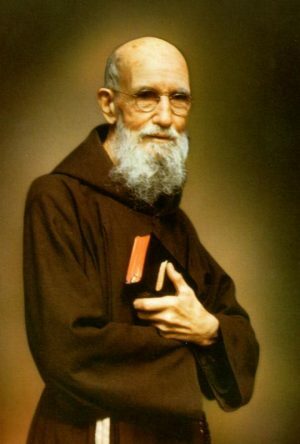 He chose a branch of the Franciscans, the Order of Friars Minor Capuchin, where he entered in 1897 and was given the name Solanus, the name of an earlier Capuchin saint. Father Solanus was ordained in 1904 but there was a catch. Because of the difficulties in his studies he was ordained as a “simplex” priest, a rarely used designation. This meant he could indeed celebrate Eucharist but was not permitted to preach or hear confessions. As a practical matter he was equivalent to a lay brother, assigned to the lowliest tasks but nevertheless able to celebrate Mass at least privately. Cleary at this point his superiors saw something special in Friar Solanus, in that they permitted his ordination despite academic difficulties. If the restrictions on his ministry bothered him, it never showed. Over the years he worked in Manhattan and Harlem in New York, as well as 20 years in Detroit and for a time in Huntington, Indiana. He was the friar who answered the door when people came with prayer petitions, and he visited the sick and served food at a huge soup kitchen. His reputation for holiness and a sympathetic ear, as well as for being a man whose prayers of petition seemed to be answered, continued to grow. When he died in Detroit in 1957 an estimated 20,000 people came from all over to his viewing or funeral. One of the key conditions for a cause for beatification or canonization is the existence of a “cult,” that is, a body of people who are convinced the person, in this instance Father Solanus, was indeed saintly. That belief existed then and still persists. Although Father Solanus was prevented from performing some of the usual ministries of the priesthood, “instead of lamenting what he could have done, he said, ‘What I can do I will do with all of my heart,’” Father Betz observed. For Father Betz, coming back to celebrate the Mass for the beatification of Blessed Solanus is a bit of a homecoming. He served for years in immigration work, vocation ministry and the Chinese apostolate in Philadelphia and lived for a time at St. John the Evangelist where the Blessed Solanus Casey Mass will be celebrated. St. John’s Hospice, which was founded by a former pastor of St. John the Evangelist, is a smaller version of the soup kitchen in Detroit where Father Solanus spent many years of his career. 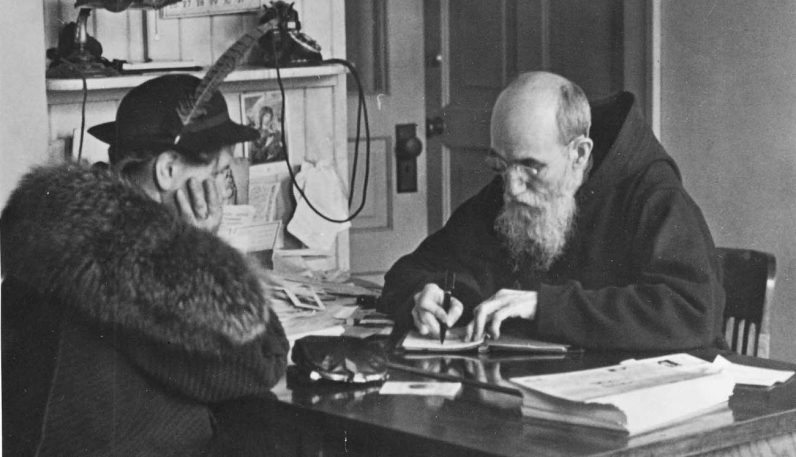 Blessed Solanus Casey was never missioned to Philadelphia but he would have loved that ministry. Blessed Father Solanus Casey is truly a model of humility. I learned something today when I read “simplex” priest I looked at it as an insult. He didn’t. His reaction was indeed saintly. Blessed Father Solanus pray for us. This is what I try to do every day. I hope to remember Father Casey on 12-1-2017. But today I will say a prayer for his Sainthood. I am surprised you did not mention that growing up his family actually lived in the Germantown section of Philadelphia. His father was working in Philly for a short time. This was shortly before Solanus was born.